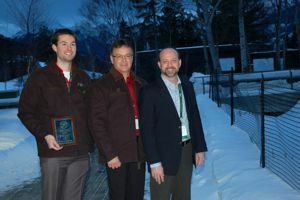 News from the Meristem editors from inside the 2013 Banff Pork Seminar. Learn from the "Challenge of change"
The 2013 Banff Pork Seminar concluded another strong year of topics, speaker and attendance, all geared to support the industry with knowledge to build a successful future. "The reason we have Banff Pork Seminar is two-fold," recapped Ruurd Zijlstra, BPS program director, in his closing remarks. "First of all, to learn and the second reason is to network. Some of the things we've learned this week to deal with the challenge of change include economics, animal welfare, feed trade and other key issues. More change in our industry can be expected and we need to make progress in all of these areas to succeed." On the networking side, continual improvement of the conference format to create the best possible environment for networking is the goal, he says. "If you compare how we organized the conference this year compared to last year, we made some very significant changes based on the feedback we received. What I'm really looking forward to again is some input to further improve for next year. "It has been a great Seminar for 2013. Always looking for ways to get better is the key to maintaining the role of this Seminar as a top event of its kind to support the pork industry." Janelle Fouhse, University of Alberta (left), Dr. Ron Ball and Xun Zhou of the University of Alberta. One of the roles of Banff Pork Seminar is education and linking with the latest science is an important part of that. Each year, the Banff Pork Seminar presents the R.O. Ball Graduate Student Award honoring emerging talent in research. The award was renamed in 2011 to honor Dr. Ron Ball, the recently retired University of Alberta professor who has served as program director of BPS for 14 years. 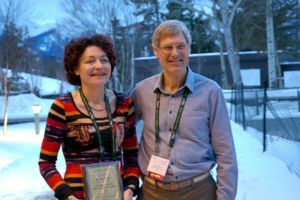 First prize this year went to Janelle Fouhse, University of Alberta for her work on "Dietary amylose affects gut microbiota and VFA concentration in weaned pigs." Second prize went to Xun Zhou of the University of Alberta for his work on "Effects of feeding high- and low-fibre fractions of air-classified, solvent-extracted canola meal on diet nutrient digestibility and growth performance of weaned pigs." Third prize went to Garrett Rozeboom, University of Saskatchewan for work on "The use of spray-dried animal plasma to mitigate the effects of DON in nursery pig." 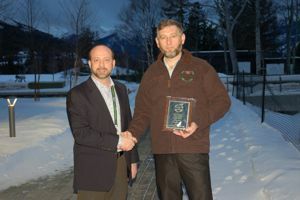 One of the features of this year's Banff Pork Seminar was the first annual George Foxcroft Honorary Lectureship. The lecture, which pays tribute to the swine research pioneer, features high profile speakers with a goal of increasing production efficiency. The 2013 lecture featured a presentation by Dr. Nicoline Soede, a sow reproduction expert from Wageningen University in The Netherlands. The lecture was sponsored by Merck Animal Health. Canadian Bio-Systems Inc. Rob Patterson, Technical Services Manager. It's a testament to the resolve of the pork industry. BPS 2013 featured one of its strongest years of sponsor support. 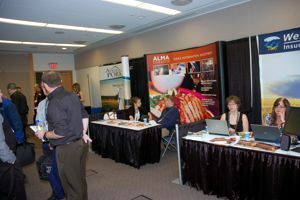 Anchoring more than two dozen companies and organizations supporting the seminar were Sustaining Sponsors that included: Alberta Pork, Alberta Livestock and Meat Agency (ALMA), Canadian Bio-Systems Inc. and PIC. A big thank-you to all BPS sponsors. A few are highlighted in these photos. See the full list here. Alberta Pork. Christina Carley, Education Program Coordinator. PIC. 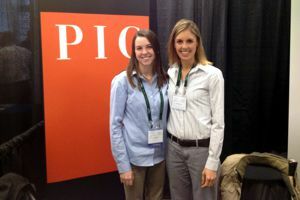 Marketing representatives Casey Toler (left) and Lindsay Case. One of the hottest, buzz-generating discussions at BPS 2013 was the 'Boar Pit' session that featured a big focus on how to grapple with the animal welfare issue – spanning everything from the recent W5 report, pending Code of Practice updates and dealing with the activist threat. Highlights will be captured in the next e-newsletter edition of NewStream Farm Animal Care - a digital service focused on "what you need to know in farm animal care." It's part of an Information Leadership Initiative sponsored by Alberta Farm Animal Care (AFAC), the Alberta Livestock and Meat Agency (ALMA) and the Alberta Livestock Industry. Sign up here for free to get the NewStream, to ensure you don't miss our feature on the BPS Boar Pit conversations on animal welfare. Boar Pit Session Chair, Shannon Meyers of Fast Genetics. There were over 200 people at the 'Boar Pit' session of the Banff Pork Seminar. But the invigorating perspectives, frank discussion and passionate viewpoints expressed provided a distinctly around-the-kitchen-table feel. How do we really feel about the industry? What is our future? How will we deal with the tough issues on our doorstep? It was bare bones talk. It was part friends and colleagues figuring things out. Part blunt exchange of viewpoints. And some good jokes and one-liners were thrown in too. All in all, it served as a great wrap-up to a packed couple days of speakers, topics and information at the Seminar. The panel did a great job. It included Al Mussel of the George Morris Centre, Crystal Mackay of Food & Farm Care and long-time pork producer and industry leader Florian Possberg, anchored by session moderator Shannon Meyers of Fast Genetics. Also lots of questions and participation from the floor, which was encouraged in this interactive format. Animal welfare, animal housing, industry economics and where things are headed in the next five years were all key topics. It was the second year of the Boar Pit session and all signs point to more in the future as this becomes established as a top buzz generator, leaving many BPS participants heading out the door stimulated and energized with all the food for thought. 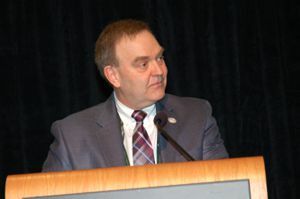 "Each of the winners have provided unique and valuable contributions to improve pork production, " says Dr. Michael Dyck of the University of Alberta, chair of the F.X. Aherne prize committee. Conception Ro-Main Inc. Presented to Serge, Robert and Germain Labrecque of Conception Ro-Main Inc., St-Bernard, Que. Awarded for creation of an 'intelligent' heat lamp controller and piglet creep system. See more information on the award winners here. 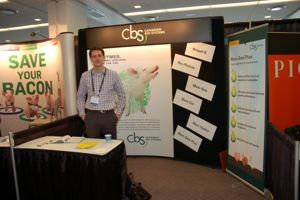 One of the big changes at the Banff Pork Seminar was a new format for the sponsor display and networking area. "Last year was our first in this new Kinnear Centre," says 2013 Banff Pork Seminar program chair Ruurd Zijlstra. "We learned some things from that event. The feedback from delegates was clear on what they didn't like and what they would prefer. "This year we changed use of the facility substantially. We located the displays in one central area. Refreshment stations were located nearby and the result was exactly what we hoped for - a much better networking opportunity. "We have set up our main sessions as a learning experience, but there is no doubt that the opportunity to network with industry peers and specialists from across North America and around the world is equally important. And we want the best for our sponsors as well. We were pleased with the result this year." Social media. Love it or hate it. Tweeting non-stop or can't be bothered. Whether you're in one camp or another or - like most people - somewhere in between, one thing undeniable is the tremendous profile and increasing power of this communications juggernaut. How to make sense of it and make it work for you? 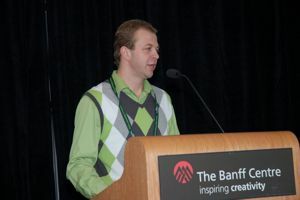 Jeff Schneider of Edmonton-based Marketing Ninjas offered Banff Pork Seminar participants a window on this dynamic and fast-changing social media world. He also provided lots of food for thought and advice in a well-attended breakout session. Here are snapshots of five among many observations and tips from this leading social media consultant, speaker and trainer, who is steadily increasing his network and experience working with a variety of players in the agriculture sector. The most important thing to know. Remember, says Schneider, social media is a communications tool, not a sales tool. "It's outstanding for networking. Think of it as a cocktail party. What do you want to say? How do you want to interact with people?" He also shared a fun quip: "Really the main difference between social media networking and regular networking is you can do it without wearing pants." What it's all about. For businesses and organizations of all shapes and sizes, the primary objective is to engage your audience and build relationships, he says. "Social media is not about technology. It's about relationships. It's about people." Sidelines not an option. The most common question Schneider gets is, 'Should we do social media.' First, understand staying out of it is typically not an option if you're a business or organization with significant profile. "Like it or not, people are likely talking about you online and through social media already," he says. "They're talking about you, your organization, your products and services and your industry. You're better off to be part of the conversation. In fact, it's essential for you to be utilizing social media." Everyone is a publisher. No one wants bad press and that is a legitimate concern with social media, since it makes everyone a publisher, says Schneider. But being involved allows you to influence how your story is told. "Social media is really an excellent leveraging tool," he says. "We want to encourage and empower the people that are speaking positively about us and our industry, and confront any negative communication head-on." Trust is critical. One of the most powerful and valuable opportunities with social media is how it can be used to build trust with target audiences, says Schneider. "Becoming a trusted authority has a number of advantages. Two of the top ones are you don't struggle to get people to listen to you and people are eager to support and do business with you." Remember the '3 Es.' The short course on effective content for social media is simple, he says. "Smart marketers are attracting and building networks and attracting their prospects by creating remarkable content that educates, entertains and engages their audience." Schneider is assisting with the Banff Pork Seminar's own Twitter feed and Facebook page this year. Check them out today. You can follow on Twitter at twitter.com/BanffPork and Facebook at www.facebook.com/BanffPork. Pork production can be a roller coaster. In recent years there has been far too much in the way of dramatic drops compared to the upswings people would like to see. One thing that doesn't seem to change though is the industry spirit of fostering knowledge and innovation. The continued strong attendance at the Banff Pork Seminar – with over 600 registered for 2013 - is a testament to that enduring culture of continual improvement. It's also a big reason why core sponsors see strong value in the Seminar, says Gordon Cove, President and CEO of the Alberta Livestock and Meat Agency (ALMA). "The Seminar itself is really about getting current information, getting the best practices, best technology, the latest research out to the production industry," says Cove. "It's a world class event. And you've got world class people here, from researchers to companies, to producers, from North America and beyond. You can't beat that." ALMA is a provincial government agency established with a vision to be a catalyst in the development of a profitable and internationally competitive Alberta livestock and meat industry. It provides ideas, information and investment opportunities to the industry and the Government of Alberta, including supporting leading industry education events such as the Banff Pork Seminar. "Education and keeping current, keeping at the forefront of the latest knowledge is really the key to building the industry," says Cove, who chaired the Seminar's opening plenary session. "The Seminar delivers that – it plays a critical role. You can see the value by the consistently strong attendance, year after year. It's very well respected. At ALMA we are proud to be a part of it." ALMA is a sustaining sponsor of the Banff Pork Seminar. Each year, the Banff Pork Seminar (BPS) organizing committee sits down to pick out a theme for the upcoming seminar. Usually this involve a lot of discussion, but this past year there was one consistent message that came up, Don Down BPS chair told the seminar opening. That message was "Change was upon us." Consider these points, he says. The already high price of corn was on the rise due to drought conditions in much of the U.S. Corn Belt. What change would this bring? How many producers would say this is enough? The beginning of liquidation of sow herds forced the markets down even further. Many producers were seeing losses of $60/market hog. What changes would this bring? The trend to increased consolidation, ongoing for a few years now intensified this year with many smaller farms deciding to be contract growers for bigger producers. The trend to increased integration intensified this past year with some larger production systems becoming part of a pork value chain. Following the changes in production systems we have seen increased consolidation in the feed industry across Canada. These changes have made some companies bigger. Many of the people have left the industry or have taken on different roles. And if all this wasn't enough, activist groups have begun to be more aggressive in our industry and made a significant move in Manitoba this fall. What changes will this lead to? Yes change is upon us and it is not easy, says Down. That's why the theme of this year's seminar is "The Challenge of Change." "This is my third year on the advisory committee and my first year as Chairman of the seminar. I have nothing but admiration for everyone in this room and many more across Canada who are dedicated to supporting the pork production industry. "We are here this week as an industry to listen, learn and plan for change. We are a resilient bunch and we will no doubt take it on and move forward." Down paid tribute to his BPS Organizing Committee, representing a broad sector of industry perspectives and geographic regions. They include Michel Vignola, Nutreco, Quebec; Cam Farrell, Paragon Farms, Ontario; Steffen Klink, PIC Manitoba; Nancy Lidster, DNL Farms Saskatchewan; Ruurd Zijlstra, University of Alberta; BPS Program Director; Heather Ball, University of Alberta, BPS Coordinator; Michael Dyck, University of Alberta; Geoff Geddes, Alberta Pork; Ron Gietz, Alberta Agriculture and Rural Development; Bob Kemp, Genesus Inc.; Martin Bowman, Verus Alliance; Dawn Magrath, Innovative Veterinary Services Inc.; and Ruth Ball, Crocus Conference Services, all from Alberta. 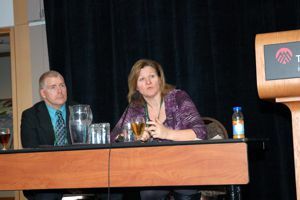 One question that comes up most years for Banff Pork Seminar conference coordinator Heather Ball is whether or not late registrants are accepted. The answer is a simple "Yes." Anyone who has not registered but would like to is welcome. It's best to do that online at www.banffpork.ca or call directly to (780) 492-3651. But walk-ins can be handled directly at the seminar, Jan. 15 to 17. One sure sign of the dynamic developments in the agricultural industry is the interest from media. So when Banff Pork Seminar (BPS) brings in the best speakers on leading topics that often is newsworthy for both trade and mainstream media. "The pork industry is so globally driven these days that we find interest not only from Canada but across North America and around the world," says Ruurd Zijlstra, BPS program director. "We are very aware that the world expects our industry to operate transparently and this seminar, as a leading knowledge source." BPS works with media in three ways, says Zijlstra. First, the Seminar provides information media and organizations can use. News releases and news features, blog items and photos from the 2013 Seminar are posted in a BPS Special Report. It's available online through a link at www.banffpork.ca. All material is available to anyone who wishes to use it based on reprint standards outlined in the online report. Second, media are invited to attend and there are resources to assist them. A "Media Assistance" button on this Special Report explains that media can sign up to receive news releases and other notifications from this year's Seminar. It explains who to call to get assistance. As well, many media are contacted directly or through a broadly distributed media advisory. "Again this year Geoff Geddes, Communications Specialist with Alberta Pork will be available during the Seminar to take media calls for assistance," says Zijlstra. "Media can attend all or selected sessions, or can contact specific speakers directly." Third, media can customize information to best fit their needs. "Each year, BPS makes a special effort to contact media from various sources, such as farm and organization media, to new media such as websites and blogs," he says. "There is often interest from mainstream media who understand how dynamic agriculture and food is today and of real interest to the general public." 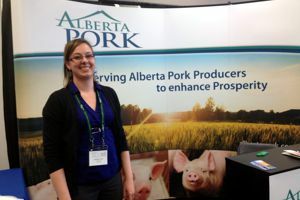 If you've signed up to attend the 2013 Banff Pork Seminar, here's a handy checklist and key reminders put together by Heather Ball Conference coordinator. Map of the Banff Centre. www.banffcentre.ca/about/directions-maps. Delegate check-in. Note the Welcome Reception on Tuesday starts and ends earlier Registration is in the Kinnear Centre between 4 PM to 8 PM on Tuesday, January 15. Don't miss the TASTE of PORK sampling. Banff Centre chefs will showcase specially prepared pork products at the Welcome Reception between 5 PM and 7 PM. Drop by to check in & enjoy refreshments sponsored by Hypor Inc, A Hendrix Genetics Company. PIC Western Barbecue Night. Order tickets now. PIC is once again sponsoring the Western Barbecue on Wednesday, Jan 16. Great venue. Great food – baby pork back ribs and a hip of beef. Great hospitality. And perhaps most important, an excellent place to network. Thanks to PIC's generous support BPS is able to offer this event to BPS delegates and guests at half price! Tickets are not included with conference registration and are available at a cost of $42 each. Only 300 tickets available so order yours now! New sponsor booth location. Be sure to drop by the new Exhibitors' Display area on the 2nd floor of the Kinnear Centre. There will be 27 companies with displays featured this year and the coffee break is continuous. Presentation schedule. Note there are no Friday Sessions this year. All sessions are in the Kinnear Centre and the adjacent Max Bell Centre. The program presentations run from 8:00 a.m. Wednesday to 5:00 p.m. on Thursday. Research Poster Display. Abstract poster displays will be held in Kinnear Centre Gallerias, Wednesday& Thursday, 8 AM to 5 PM. Graduate Student Competition oral presentations will be held 10:30 am to noon Wednesday, Jan.16. Room including the daily hot buffet breakfast or Room only, breakfast not included. Banff Centre reservations. Phone: 1-800-884-7574 or on-line at http://banffpork.ca/accommodations.shtml. Parking / Shuttle Bus Service to Downtown Banff. Parking on campus is limited to all except overnight guests at the Banff Centre. Shuttle Bus Service will run on Wednesday and Thursday mornings and afternoons from select downtown hotels: Banff Caribou Lodge, High Country Inn, Ptarmigan Inn, and Banff Park Lodge. Transportation from Calgary International Airport (YYC). The Banff Airporter offers regular shuttle service from the Calgary International to Banff hotels. Delegates to BPS will receive a 15 percent discount for on-line bookings with the Banff Airporter. To check the schedule and book your shuttle, visit http://banffairporter.com/book/ to receive a 15% discount on travel. 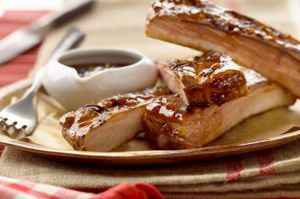 Type in the Promotion Code – pork – on the final page. The special rate for delegates is $48.88 one way and $97.72 return, prices include GST. You can also book by calling 1-888-449-2901 ext #1. Tourist Information for Banff & Area. Check the area's tourism website at www.banfflakelouise.com. Have other Questions? Contact Heather Ball, Conference Coordinator at (780) 492-3651; email: . In the thirst for new knowledge in the pork industry, the latest research is key. And a supply of young scientists in the pipeline is key to sustaining research progress. Dr. Ruurd Zijlstra of the University of Alberta knows that from his role as a professor, educator and veteran swine researcher with a long running swine research program. As BPS Program Director he heads an effort to make sure the Banff Pork Seminar stays at the forefront of research. "The research poster sessions have become an important part of that knowledge transfer," says Zijlstra. "These young scientists bring the best of today's research from major swine research institutions across the country. 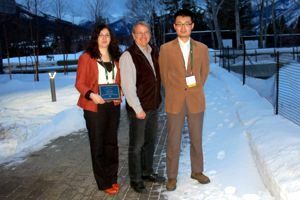 "It is an important part of the Banff Seminar networking. It gives researchers an opportunity to meet with industry and other researchers face to face. And, equally importantly, it gives producers and others in the pork industry a chance to question scientists directly about their work." Research posters will be displayed in the Kinnear Centre Wednesday and Thursday of the Seminar. The chefs at the Banff Centre are renowned for their skills. They host many top events at the internationally renowned venue year round, entertaining people from around the world and serving them food that makes them want to return. They are highly recognized for their culinary skills. At the 2013 Banff Pork Seminar the Banff Centre chefs will showcase those skills to feature some of the very best in pork products when the Seminar launches with a "Taste of Pork" sampling. "We wanted to start the Seminar with a very strong networking event on Tuesday afternoon," says Ruurd Zijlstra of the University of Alberta BPS Program Director. "This Seminar is designed to promote excellence in pork production from farm to fork. What better way to launch it than to celebrate with some of the very best of pork products, and in the process to showcase the health, nutrition, flexibility and enjoyment of the pork products that are reaching consumers." The "Taste of Pork" sampling session runs from 5:00 p.m. to 7:00 p.m. on Tuesday Jan. 15. The session is sponsored by Hypor Inc, A Hendrix Genetics Company. One lesson that is clear is that the people attending the Banff Pork Seminar are usually not shy about expressing their opinions, asking good questions and having a laugh or two along the way. The Boar Pit session introduced a year ago and planned again for this coming Seminar is a simple concept. Pick some tough issues, find some knowledgeable people on those issues, put them at the front of the room and open the floor for discussion and debate. "There have been plenty of challenges this year and we think there will be lots of things to talk about," says Don Down, BPS 2013 Chair. "The 2013 Boar Pit starts at 4:00 p.m. on Thursday and immediately following that is the post-Seminar refreshment and network session. We're expecting lively conversation that carries over into the closing social session. It should be the perfect end to our Seminar." Few issues have cut across the pork industry like gestation stalls have. Several U.S. States have joined the precedent of the European Union and instituted legislation to phase out the use of gestation stalls. Many large companies have followed suit, pledging to eliminate gestation stalls from their production systems over the next few years. And the issue has been on the forefront of animal care headlines for some time. What does that trend mean for pork producers today and how do they adapt? The 2013 Banff Pork Seminar brings in three speakers from the frontlines of key aspects of this issue in Breakout Session Number 7. Tom Parsons of the University of Pennsylvania looks at the lessons learned from a decade of transitioning sow farms from stalls to pens. The experience shows it can be successful, he says, but requires renewed attention to many details, like stockman training. University of Guelph researcher, Renee Bergeron, looks at what can be learned from sow welfare assessment systems in the EU, US and Canada. And Steve Pollmann, President for Murphy-Brown's Western Operations, which includes 150 company owned farms and 500 contract producer farmers, brings a grassroots producer perspective. He'll speak on the challenges from an integrator perspective of management of sows housed in groups. The slogan says "Live the Lore of the West" and that sums up a big part of the experience at the MountView Barbeque event at the Banff Pork Seminar that many delegates have enjoyed in recent years. This year's barbeque for BPS delegates is slated for the evening of Wednesday, Jan. 16, following the first full day of sessions, sponsored by PIC. It's an opportunity not to be missed. Great venue. Great food – baby pork back ribs and a hip of beef. Great hospitality. And perhaps most important, an excellent place to visit. 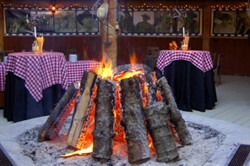 MountView Barbeque is located about 10 minutes from downtown Banff in a wilderness setting. The venue itself is comprised of two large 'donut' tents each warmed by a roaring central bonfire. Entertainment is provided by a Country and Western band that performs throughout the evening. Bring your appetite, thoughts for good conversation and look forward to an event that is fast becoming a BPS tradition. Tickets for the barbeque not a part of the BPS registration fee. They are a bargain at $42 each and may be purchased by contacting the registration desk at . Tickets are limited to the first 300 people so get yours soon. It will go down in U.S. livestock production history as one of the most debated, heated, and in some quarters hated agreements in recent memory. There is little doubt it is revolutionary and has changed the course of livestock production history. It's the historic agreement between the United Egg Producers of America and the Humane Society of the United States (HSUS) on production standards for poultry. And it's coming to a theatre near you -- the Banff Pork Seminar 2013. 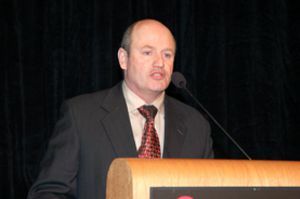 Chad Gregory, President and CEO of The United Egg Producers in the U.S, will tell how and that organization forged a partnership with its once bitter rival the HSUS. Today the two organizations have collaborated to define production systems for the future. Is this the first of a brave new wave of relationships of livestock producers with public groups who want a say in their business? Or is it a massive, perhaps unnecessary sellout that will leave other livestock industries scrambling to adjust? Attend this year's Seminar to hear Gregory tell his version of the story. If you don't find out all the answers during his presentation, you can ask him first hand. Gregory speaks on Thursday morning, Jan. 17. Don Down, Chair of BPS 2013 is with Elanco Animal Health. One of the clear background messages to the 2013 Banff Pork Seminar is the difficult times the pork industry has faced. That tone has been a backdrop more often that anyone involved in the industry would like the past few years. But Banff Pork Seminar 2013 Chair Don Down says facing challenges is exactly the kind of atmosphere that has made BPS a must-attend seminar on the pork industry front in North America and internationally. "Look at the 2013 program and you'll see the organizing committee has put together a program that tackles the major issue with some very knowledgeable people," says Down. "The organizing committee brings together producers, industry, research and government, so we have a good idea of what questions need to be answered and we try to bring in the speakers who can answer these questions." It's a reasonable question to ask why people should spend money to attend an event when dollars are tough, he says. But we know from past experience in this industry and in any business, that when things are tight economically is precisely the time when we need to seek out the best knowledge. "At Banff Pork Seminar, you get that two ways. One in the presentations, the other in the hallways and around the industry displays. It's always nice to be able to ask people first hand and that's one of the reasons, through tough times and good, this Seminar is the place to be." They are powerful words, especially in a tough economy. High performance. High growth. What every producer would like an opportunity to participate in. Hog industry leader, Jason Logsdon thinks performance metrics are a key and he's bringing his message and first-hand experience to the 2013 Banff Pork Seminar. Metrics help business leaders translate a strategy into execution, he says. Properly designed they allow leadership to "cascade a strategy throughout an organization and bring to life each stakeholder's impact in the business." And that allows stakeholder performance to be measured and compensated appropriately. 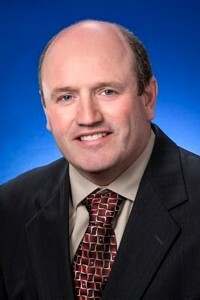 Logsdon is CEO of The Maschhoffs, one of the largest family owned pork production networks in North America. That company partners with more than 400 family farmers across the U.S Midwest and produces enough pork to feed 10 million consumers annually. His presentation will explain metrics in a high growth environment, the characteristics of good metrics and how to turn that into shareholder value creation. And he'll talk breakthrough metrics, how to establish the ones that count. It's key business information for producers of all sizes. Logsdon is lead-off speaker of Wednesday morning's plenary. Good news for anyone considering attending the Banff Pork Seminar Jan. 15 to 17, 2013. Early, lower cost registration has been extended to Dec. 18, 2012. Registration, accommodation and full program information is available on the Seminar website at www.banffpork.ca. More information is also available by email at info@banffpork.ca or by contacting Heather Ball, conference manager by phone at (780) 492-3651. Just a reminder, registration includes admission to all sessions including the plenary sessions, up to four breakout sessions, poster session, industry partner session and the special Boar Pit. You also receive a copy of the proceedings, a luncheon both days, networking breaks and receptions. When you've been in business more than 40 years you have a significant extended family. In the case of the Banff Pork Seminar that family extends across North America and around the world. And it's about to get a lot bigger. 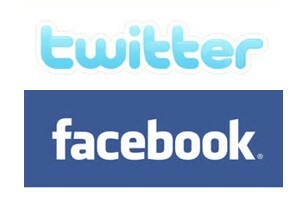 BPS is launching its Twitter feed and Facebook page. You can follow on Twitter at twitter.com/BanffPork and Facebook at www.facebook.com/BanffPork. 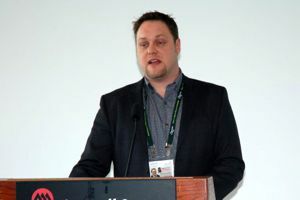 "Banff Pork Seminar has built a reputation for being at the leading edge of information for the pork industry so it's only natural that we grow into providing that information to audiences around the world through social media," says Geoff Geddes, communications coordinator with Alberta Pork and a member of the BPS planning committee. "We understand that social media is becoming a powerful tool for our industry and in fact the 2013 Seminar features a presentation on how to get the message out using social media." This year's Twitter and Facebook efforts are a bit of a pilot project, Geddes acknowledges, designed to build and use these social media tools most effectively into the future. "We have established the Inside BPS blog over the past few years to speed the flow of information on developments before the Seminar and directly from the Seminar floor. 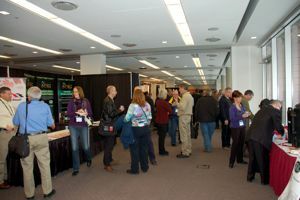 People can access that blog through the Banff Pork Seminar website at www.banffpork.ca. The Twitter and Facebook efforts will complement that. "We welcome people to check out these communications efforts and their feedback is certainly encouraged." 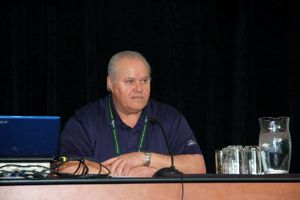 In the years he's been in the agricultural business, Banff Pork Seminar Chair, Don Down has done a lot of travelling, across Canada and a fair amount internationally. Whenever he goes back to Banff he is reminded how that location is known across Canada and around the world for its stunning beauty and broad entertainment options. "It just is a beautiful spot that people across Canada and in so many countries know and admire as a destination of choice," he says. "It certainly is a key attraction to our Seminar." Banff National Park, Canada's oldest national park, attracts roughly three million visitors each year and is a UNESCO World Heritage Site. 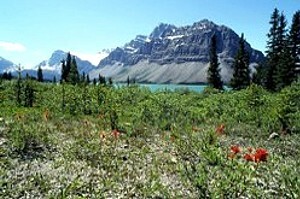 Anyone considering attending the Banff Pork Seminar January 15 to 17, 2013 should take a few minutes to consider the sightseeing and recreational opportunities the area offers. The links below may be helpful. Town of Banff. Provides an overview of what the town area has to offer, including a current "Activities and Events" section. Banff Lake Louise Tourism. Covers everything from dining to recreation, including ideas on "Places to Explore" and "Things to do." Explore Rockies. Information on tours covering all the must-see area attractions. Everyone in the livestock industry understands it is under pressure from activists. It's a major reason why the 2013 Banff Pork Seminar (BPS) has built its Thursday morning plenary session around "New partnerships." "We are constantly under pressure in the areas of animal welfare, food safety and a number of other areas," says Don Down, BPS chair for 2013. "Animal welfare activists groups are well organized. We need to be more aware of them and to learn how to work better in that environment. Our future depends on it. They are not going away and will become more important. "We can't look at these groups as adversaries. We need to look at how to work with them. That's why our session is called new partnerships." Down says the two speakers in the Thursday morning plenary session have excellent stories to tell. The first is an industry leader from the United Egg Producers in the U.S. who developed an innovative approach with a bitter adversary to build a more sustainable industry. The second is Wes Jamison, a highly regarded communications specialist and researcher with a long history in studying group activism and conflict, and public relations theories as they relate to activist communications and rural-urban conflict. That's backed up by a breakout session entitled "Speaking up, speaking out" which deals with using social media effectively and speaking up effectively for agriculture. 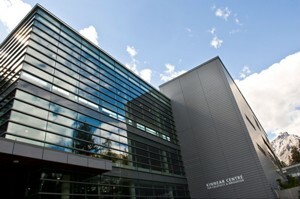 The Kinnear Centre for Creativity & Innovation at The Baff Centre. Photo: Donald Lee, The Banff Centre. Registration is now open for the 2013 Banff Pork Seminar. With changes in the program structure this year there are new options to consider. As always, there are some ways to save money when registering. Key point to know about this year's event, says Heather Ball, conference coordinator is that the program schedule is altered a bit. It starts Tuesday, Jan 15 with a reception and ends Thursday, Jan. 17 with a closing networking reception. There will be no Friday program this year. Register prior to December 1, 2012 to get a $50 per person discount on the Seminar registration fee. Also, when five people from the same company, farm or organization register for the Seminar, they will receive a sixth registration free. Registration includes admission to all sessions including the plenary sessions, up to four breakout sessions, poster session, industry partner session and the special boar pit. You also receive a copy of the proceedings, a luncheon both days, networking breaks and receptions. Accommodation is available at the Banff Centre Campus and can be booked online from a weblink at the Banff Pork Seminar website. Room rates are competitive with downtown Banff and there is an option to include a hot buffet breakfast. It's best to book early. Full registration, accommodation and program details are available on the Banff Pork Seminar Website. It is one of Canada's longest running and largest professional agricultural seminars. 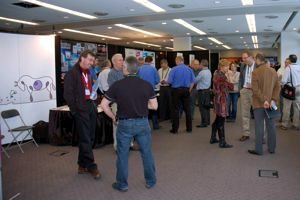 The Banff Pork Seminar has earned a reputation as a place to find the leading edge of information and the leaders on the edge of those developments. Everything you need to know about the 2013 Seminar January 15 to 17, 2013 can be found at the Seminar website www.banffpork.ca. This Inside BPS Special Report is designed to help get the most from Banff Pork Seminar. It is produced by Meristem editors in partnership with the BPS organizing committee. Inside BPS blog. The articles you are reading now will be an ongoing look at key information and inside perspective before, during and immediately following the Seminar. These articles are designed to be reused. Simply provide a credit line to the blog and a live link to the site. News release and news features. These are primarily designed for media and for industry, they are available for anyone to use. They are available for reprint. News releases can be used with no credit. 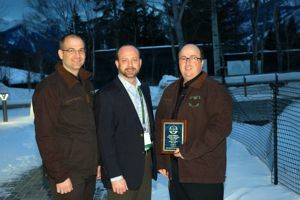 News features should be credited to the Banff Pork Seminar. Photos. A range of photo of selected speakers will be provided and are available for use. 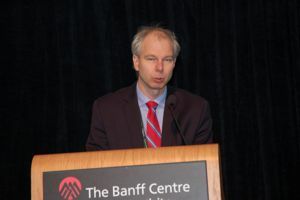 Please credit Banff Pork Seminar. Media assistance. As always media assistance is available at the contacts provided at the Media Assistance link in this report. You don't survive for more than 40 years as a seminar without a commitment to service. 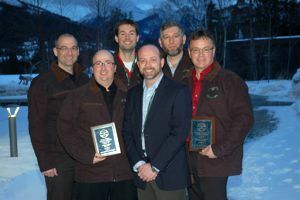 The Banff Pork Seminar organizers continue that in 2013 and welcome your questions.